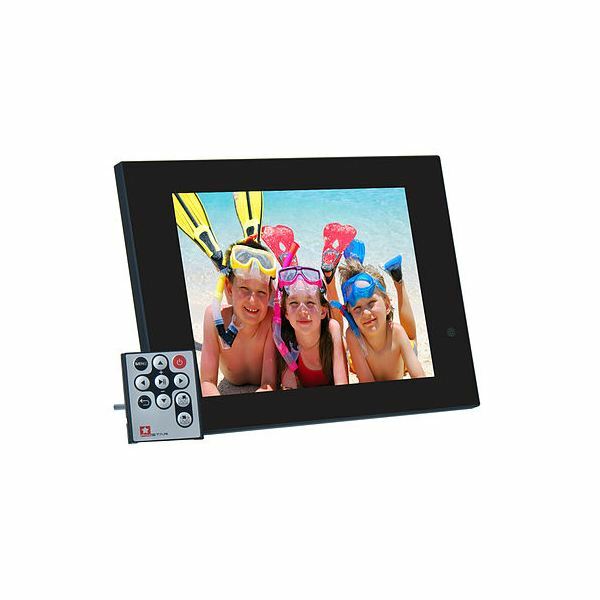 Walk into any electronics store and you will see a huge array of digital photo frames in numerous different brands –both big-name and unknown—as well as a wide range of prices. At their most basic, digital photo frames have one purpose: to display your photos. Knowing what to look for will help you sort out the confusing amount of choice and get you the best equipment for the best price. You may also want to get a frame with extra options, such as a touchscreen or music player. Knowing what you want or need ahead of time will narrow down your selection quickly. With these guides and reviews of digital photo frames, you'll soon be armed with all the knowledge you need to get the best frame, whether you are shopping for yourself or looking for a special gift. Are Cheap Digital Photo Frames Worth Buying? When you want the best, you often have to pay a premium price for it, but there is something to be said for budget options, too. If you know what specifications to look for in a photo frame, you may be able to save some money. If you know what to avoid, you can still get a product of sufficiently good quality for your needs. There are times when a full-sized frame may not be what you want. Just like grandmothers used to carry mini-photo albums with pictures of their grandchildren in them, people can now opt to toss a portable digital photo frame in their pocket or purse. Find tips here on what to look for in a mini frame, with recommendations of some good options. An 8-inch photo frame is big enough that your pictures will be clearly viewable, but small enough that it won't use up a lot of space on your desk. It's also a popular size, so there are lots to choose from. This guide looks at the most desirable options in 8-inch frames, and recommends some of the best models. If you really want your photos to be seen, then a larger size digital photo frame may be just the thing you need. There are definite advantages to going big, but because the price tends to be higher the bigger the frame, it's even more important to pay attention to the specifications. Here are some tips for buying big frames and some top-rated models to consider. A remote control is one of the extra features you might want to think about in a digital photo frame. If you spend a lot of time scrolling through the pictures on your frames, or you frequently share them with visitors, this selection of remote-controlled frames may be more suitable for you than a frame without a remote. Find out what features to look for and what some of the top choices are. Most digital photo frames run on batteries, and batteries need to be replaced or recharged. But some frames use solar power. Find out why you might want a solar-powered frame, how they work, and what some recommended models are. A really good digital photo frame can be a pricey investment, but it doesn't necessarily have to be. If you shop carefully, you can find a good frame for a good price. Here are five different brands are compared head-to-head with their under-$100 offerings. Going with a known brand can sometimes be a good idea when buying electronics. Kodak has been in the business of making photography-related equipment for a long time, and has many different options available. Here are their best models of digital photo frame. Philips is another big name in electronics, and they've got some good offerings in the digital frame arena, too. There are several different visual styles to choose from, and they're all compatible with the most common memory cards. These are some of Philips' best models. Samsung is sometimes seen as a bit of a budget brand, but they also make some good quality products. Their frames tend to go for the sleek rather than the traditional look, with simple elegant styles. Here are their five best photo frames. Sony is another brand that has been making photographic equipment and other electronics for a long time and had a good reputation in the field. If you're looking for technological options or more color choices, Sony is probably the brand to look at. These are their top photo frames. If you don't want to fiddle around with putting your photos onto a digital photo frame, you can actually buy one with your photos already loaded. You can even have it shipped to a gift recipient directly, so you don't have to wrap it. This article surveys the various companies offering the service. It's also possible to get photo frames with custom logos and text inscribed on them. This can make a nice personal touch for a gift or promotional item. Here are some of the places to get personalized frames online. Like most electronic gadgets, sometimes things go wrong with digital photo frames. This is especially true since you often have to connect one to your computer to transfer photos. But many of the problems that arise have simple fixes that you can do yourself, once you know how. Image credit: Digital Photo Frame Pix-Star XT by Pix-Star (Own work) [Public domain], via Wikimedia Commons.